Use this guide to create your first campaign. 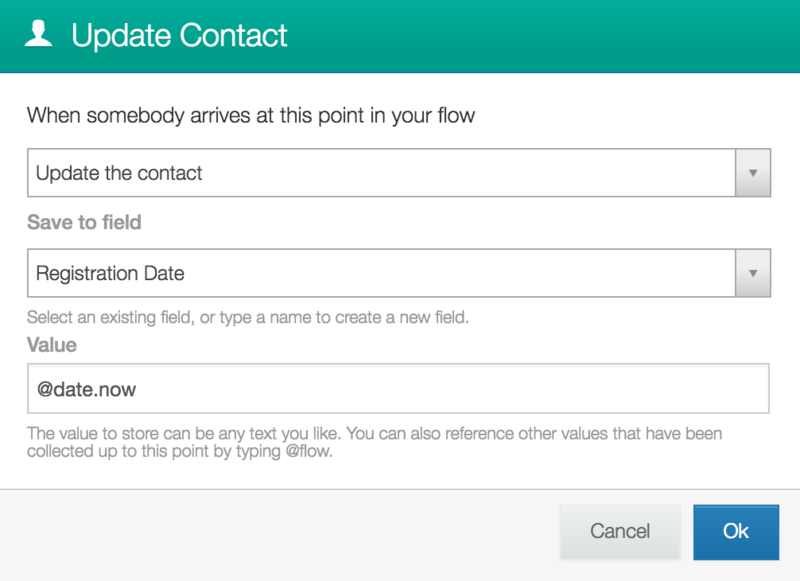 Campaigns allow you to schedule drip-style messages and flows around a date & time field unique to each of your contacts. In this article, we'll show you how to create a campaign that sends a customer satisfaction flow 7 days after the contact's purchase. (1) A contact group to which the campaign will send messages. A group can be created via the Contacts page using the 'Create Group' button in the bottom left corner. Alternatively, a group can be created within the 'Add contact to a group' flow action. (3) A campaign. 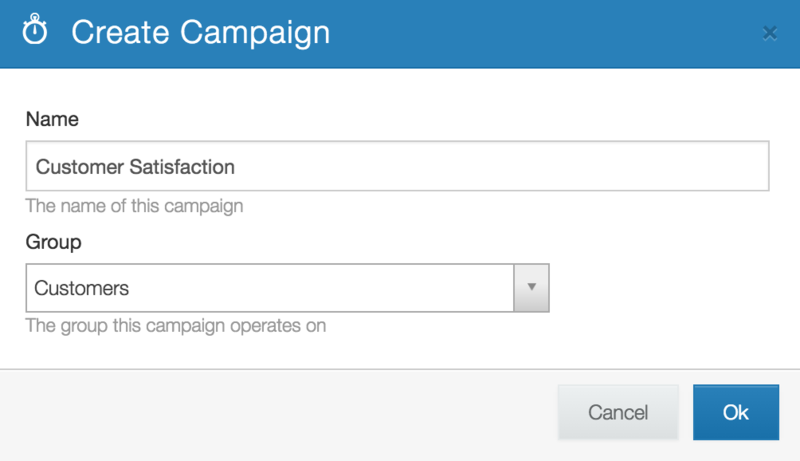 Campaigns can be created via the Campaigns page using the 'Create Campaign' button. (4) A flow to be sent out over the duration of the campaign. In this case, we'll be sending the 'Sample Flow - Customer Satisfaction' present in all new TextIt accounts. (5) A campaign event to send our customer satisfaction flow. An event can be created via the 'Add Event' button present within your campaign. 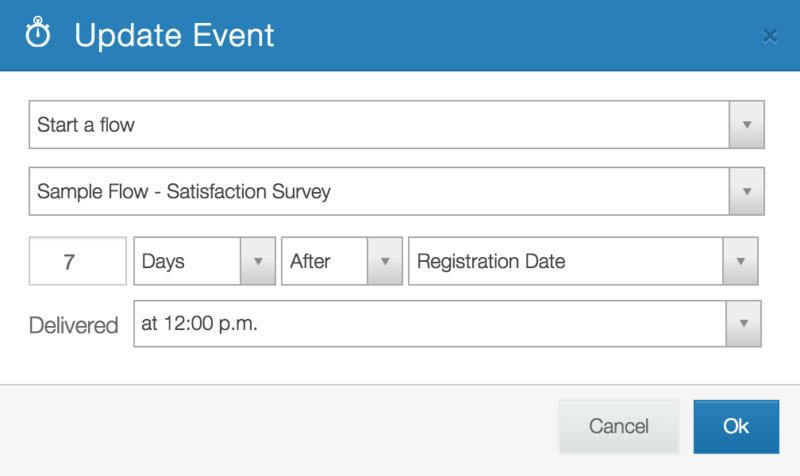 A campaign event requires a contact field containing a date & time value around which it can be scheduled. Now that we have our contact field created, we need to initiate the campaign. 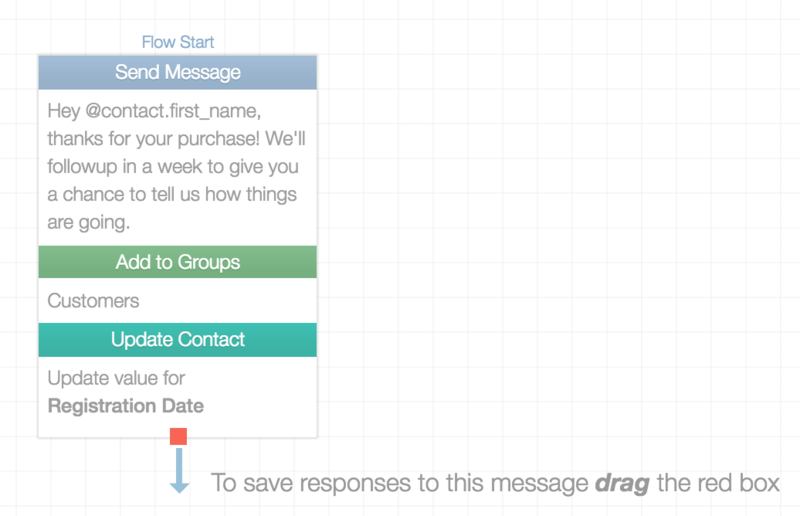 We can accomplish this by starting the contact in a flow containing a purchase confirmation message, an 'Add contact to a group' action that places the contact in the campaign's group, and an 'Update the Contact' action that'll record the time the contact received the message. The 'Update the Contact' action uses the '@date.now' variable to update the 'Registration Date' contact field with the date and time the contact receives the message. What are you building your campaign for? How is it working for you? Let us know; we love hearing from you. Follow us on Twitter to interact with a Bot built with TextIt, or create a free account to build your own. Get in touch anytime with any questions, comments, or suggestions.